Shamrock FC closed out its Lumiere shows for the year with Shamrock 297, and kicked off a busy next few weeks with shows coming up in Kansas City for SFC 298 November 18th, Scottrade Center November 22nd for Guns and Hoses, and capping off the end of the year with Shamrock 300 at The River City Casino December 1st. While the Lumiere shows can usually feature multiple styles of fights, this evening's Veteran's Day card was entirely composed of kickboxing bouts. The main event saw Chiavy Rith from Seven Corner Road defending his Shamrock FC kickboxing title against Brandon Breault from Arnold BJJ. Both fighters immediately showcased their Muay Thai skill in the first round, Chiavy with some good combinations and knees from the clinch, and Breault with some solid combinations and kicks landing for him as well. Both were technical in their exchanges. The fight went the distance and both had their moments of success, in what was a very solid and close fight. When the decision was read, Chiavy Rith was announced the winner, successfully defending his Shamrock FC kickboxing title. Tivon Taylor came out hard against Mike Offor, but Offor answered with straight left hands in return that found a home. As Taylor settled in, the fight became more calculated. A lot of attempted combinations ended up in a clinch and requiring a break. As the second round wore on, Offor's experience started to show and he was slipping some of Taylor's offense and returning. Taylor was game however, stayed poised, and used his athleticism to keep pushing and bringing the fight back. The decision at the end of the bout went to Watson Martial Arts' Mike Offor. Andrea Leese pressed forward against Marye Dalton early, targeting her lead leg with many round and inside kicks. Dalton looked to circle and counter, but was unable to time anything early. Leese kept at her range very well, and continued the pressure throughout the fight. When Dalton would land, Leese would answer back immediately and maintain the pressure. Dalton blitzed early in the third and had her most successful exchange of the fight, but Leese returned back to the same game plan and landed a vicious kick to the head of Dalton. Dalton was able to shake it off and stay in the fight, but Leese just kept moving forward. The fight went to decision, and Andrea Leese was declared the winner by unanimous decision. Mike Babiak and Kody McGehee squared off against each other to lead off the main card. Both ended up in a handful of moments in the clinch and trading off leg kicks. In the third, McGehee pulled Babiak into a well timed knee to the body that sent Babiak to the mat and earned an eight count. Another combo later in the round by McGehee caused Babiak to require an additional eight count to answer. Babiak got back up and finished the fight, but the winner by unanimous decision was Kody McGehee. Adam Stone won a decision over Richard Jones. Jones had some moments in the second round, but Stone was one step ahead and landed the more effective striking through the fight. Eric Schmidt came out in the first round against Austin Woodcock landing a multitude of leg kicks. Woodcock caught a few kicks by Schmidt as the round went on and answered over the top with hooks. A visible cut on the shin of Woodcock from checking a kick seemed to hamper him a bit as he stayed mostly in a southpaw stance afterward to protect it. Woodcock started the third in impressive fashion and took the fight to Schmidt early looking to earn a finish. Schmidt endured and continued to punish the legs of Woodcock, the damage to them becoming really apparent. Woodcock, despite the visible injury to his shin, went the distance, but the decision victory was awarded to Eric Schmidt. 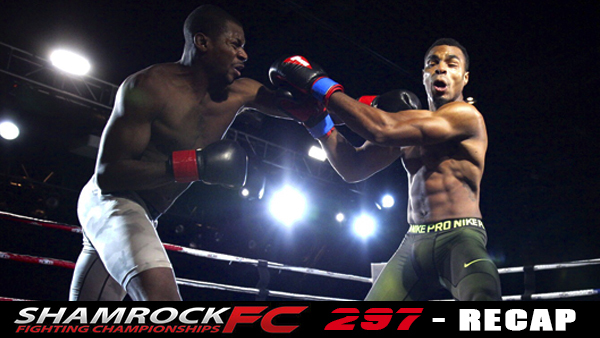 Will Monroe defeated Fikret Abdullaev by unanimous decision. An exhausted Monroe made Abdullaev carry his weight throughout the fight and in the judges eyes did enough to pull off the win. Nick Vogel was able to close the distance on the longer and lankier Dakota Ozment in their contest. While on the inside, Vogel was landing uppercuts and hooks through the shell of Ozment. Ozment responded with some solid leg kicks on Vogel, but the first round ended with Ozment in danger as Vogel was landing a multitude of heavy hooks up to the bell. The second saw Ozment take control of the fight as a visibly fatigued Vogel started to slow. Both fighters were throwing heat, but Ozment was in control for the majority of the round as his nose bled all over the canvas. The third was more of the same, but a closer round to call, with Vogel now back in the fight. The decision at the end declared Nick Vogel the winner, giving him the first and third rounds. The first bout of the night took place between Lillie Seggelke and Adrienne Brusca and went three high paced rounds. Seggelke keeps showing improvement every time she competes and was able to utilize good knees in some exchanges in the clinch as well as a high volume of strikes. A very game Adrienne Brusca would not back down one bit however, and she kept coming at Seggelke through the duration. When the action ceased, Seggelke was declared the winner by unanimous decision. 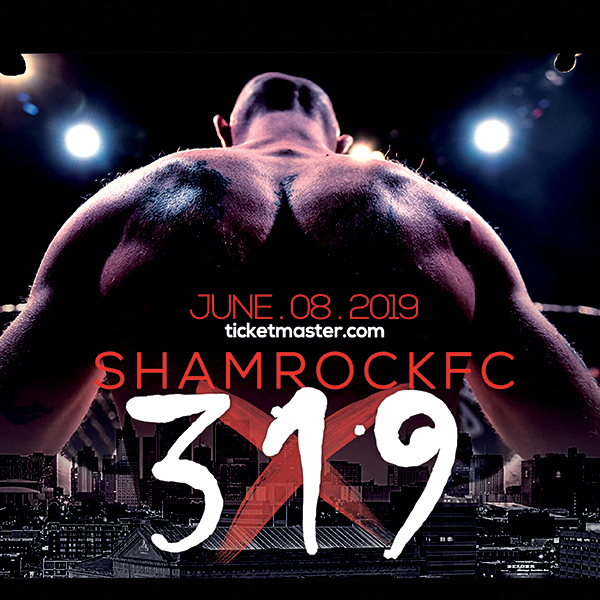 Shamrock FC returns action locally on December 1st at the River City Casino. Stay tuned for more on this upcoming event.